Today, Google rolling out a Google Play Services server-side update which gives you the Instant Tethering feature to Pixel and Nexus handsets running Android 7.1.1. The feature makes it easy to quickly connect your devices to a mobile hotspot. If you have more than one Android devices which uses the same Google account, you can share the mobile data easily from one device to another through hotspot to another without having to go through the whole process of setting up tethering first. When you unlock a tablet such as the Pixel C, it will notice if there is no internet connection available, and will ask your Pixel phone if it has internet and battery life. If it does, we will give you an option to enable a secure hotspot and pair automagically, without even taking your phone out of your pocket. This feature is developed keeping battery life in mind. So, if you don’t use your tablet for 10 minutes or more, the hotspot will be automatically disconnected. 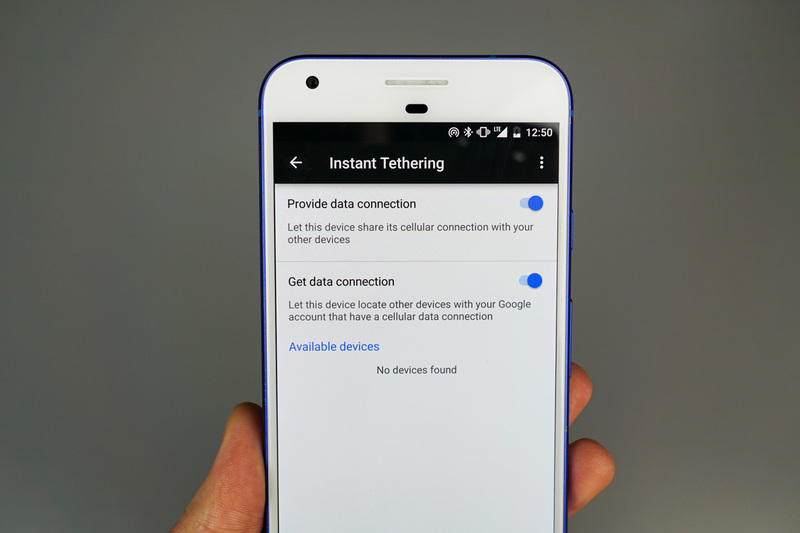 Instant tethering is available for Google’s Pixel, Nexus 6, Nexus 6P, and Nexus 5X devices running Android 7.1.1. As for devices that can automatically use the shared data connection, it is limited to all the devices mentioned before plus the Nexus 9 and Pixel C. Sadly, this feature will not be making its way to any other Android device for the time being.